In 2017 ENVE introduced a new line of M Series wheels to deliver enhanced toughness, ride feel and ‘unprecedented anti-flat technologies’. The accessories specialist has now announced a comprehensive range of M Series MTB components, including ENVE’s first 35mm cockpit. According to the company, these new accessory offerings align with the ‘M Series core philosophy of real options and true confidence through crafted carbon’. Posting more than 80 Downhill World Cup wins and podiums, ENVE has pioneered the use of carbon fibre in aggressive terrain. 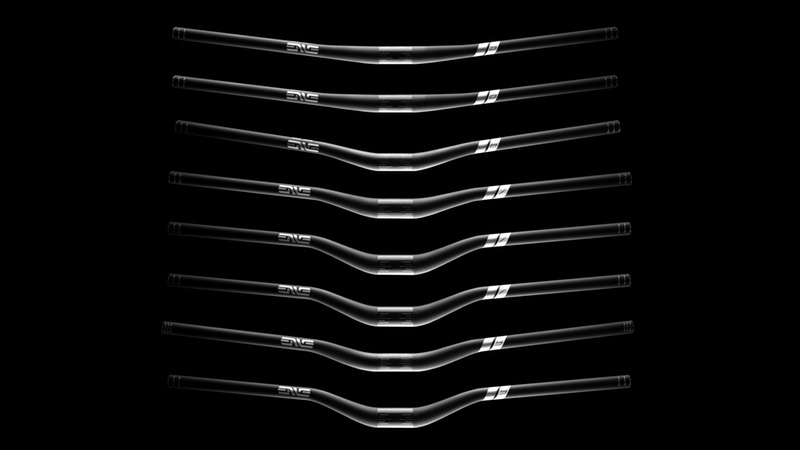 Through extensive testing, ENVE established two base handlebar constructions. One construction rated for trail and another for gravity riding and racing. The new M Series handlebars respect this core split between Trail and Gravity but are now aligned with today’s variations in usage and riders that led to the M Series four base families – M5, M6, M7 and M9. All new M Series components are covered by ENVE’s Lifetime Ride Guarantee, which covers wheels and components that sustain impact damage on the trail.